Now, if I can just keep it up and stay focused til I get to the BMI goal weight, which is anywhere from 140-177 lbs roughly…. 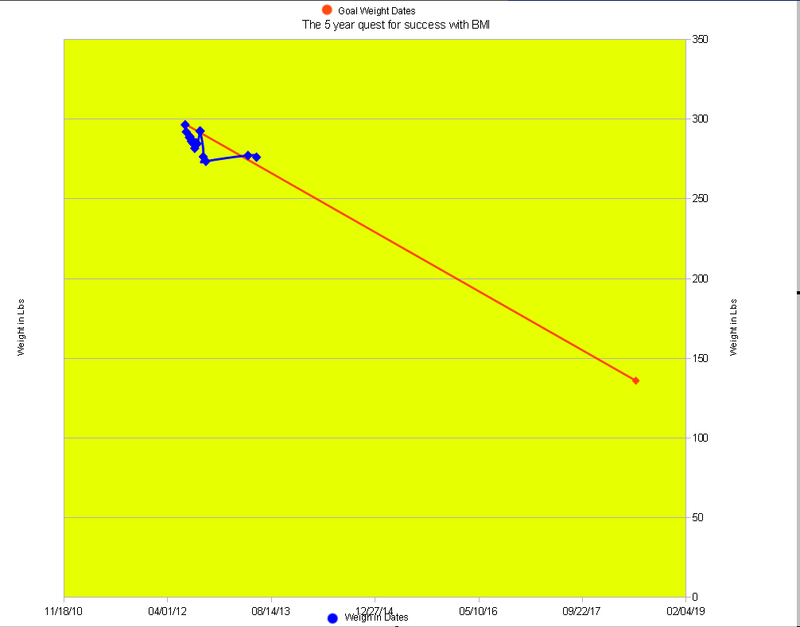 That means the goal is somewhere between 99.5 – 136.5 lbs more to lose. It feels fantastic to be able to say that the goal is less than 100 lbs away. I have not been able to say that for quite some time. I know I probably can’t keep up the speed of loss that I have been able to do so far since I probably will hit plateaus along the way, but if I can, I should hopefully be able to achieve the bmi goal far quicker than I originally intended. However, I’m not going to put too many hopes on that yet since I don’t want to push myself too darn hard. Just work it slowly off, working a little every day towards the goals.